Being a first-time homebuyer can be intimidating and many are not necessarily prepared to handle this large of a transaction. 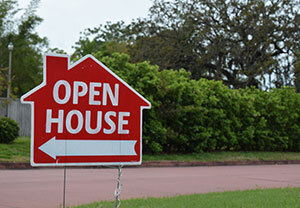 Because of this, first time homebuyers are more likely to fall prey to real estate scams. Below are the 2 most common real estate fraud schemes to watch out for and some tips on how to avoid them. At Russell Pruner, we are here to make your home buying experience as headache free as possible. We’re always here to help; give us a call! 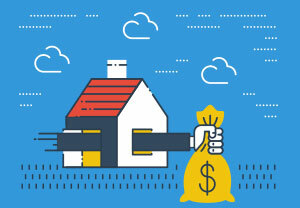 Mortgage fraud is defined as any misrepresentation or omission of a loan. Mortgage fraud has two categories: fraud for housing which is committed by the person borrowing the money and fraud for profit which is committed by the lender. To avoid being taken advantage of it’s a good idea to ask your real estate professional for a recommendation on a reputable lender. It’s also a smart idea to consult with a local regulatory agency to confirm the lender’s licensing and credentials. You should always be transparent and honest when filling out a mortgage document to avoid accidentally or purposefully committing fraud. Never include false information, even if someone suggests to do so. Always read and re-read your mortgage documents before signing on the dotted line. Never sign documents that are blank or incomplete. It’s also not a bad idea to have your mortgage documents reviewed by your lawyer before signing. We share so much information on the internet every day. It’s important to make sure you are keeping yourself safe on social media because sometimes all it takes to steal your identity is your birthday, maiden name, and a photo. The best rule of thumb is just to be careful. You should review your privacy settings on social media sites regularly and only friend people you know. Write checks sparingly. The more often you write checks the more people have access to your account and routing number listed on the check as well as your address. Making wire transfers or using a credit card is a good way to avoid writing checks. Historic homes are full of character and charm. It’s easy to fall in love with them, but before you sign on the dotted line, there are a few things you’ll want to consider. Many communities have specific planning and zoning commissions that are in place to preserve and protect historic homes and neighborhoods - they can also become a pain in the neck if you plan on making any renovations. 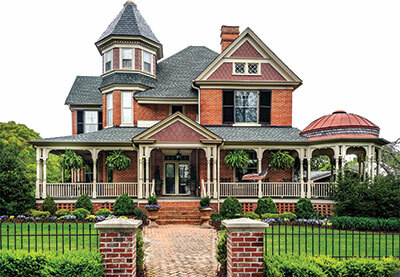 Many historic homes require an extra layer of approval before you can start to renovate. Some historic districts retain an immense amount of control which can make renovations take longer and cost a lot more. And in some cases, you may not be able to renovate the home the way you want. When thinking about buying a historic home consult your local officials to determine how much control the town has over your renovations. Finding wainscoting, picture rails, crown moldings, and other period-specific architectural details to replace broken or missing pieces in the home can be not only difficult but expensive. In addition to matching style, it can be difficult to find the exact materials used originally. There are more and more architectural salvage companies popping up these days but be prepared to pay. All homes require periodic maintenance and repairs, historic homes usually require more TLC. You will want to establish a maintenance strategy and be prepared to address issues as they arise. Home inspections for all homes are critical, but you will especially want to have a thorough inspection by a reputable company before you buy so that you know exactly what you are getting into. If you're a buyer that understands that buying a historic home comes with a commitment and not just character and charm, historic homes are the right fit. If you aren’t prepared for the costs and maintenance of historic homes, they aren’t the right fit for you. Winterization is crucial! Ideally you should winterize your pipes in the fall, but if all of a sudden you find yourself in the middle of a deep freeze, the following tips can help prevent a devastating burst. Turning on your faucets can keep water circulating through your pipes, thus making it more difficult for them to freeze. Make sure you drip both the indoor and outdoor faucets. 5 drops per minute should be enough to help keep them from freezing. 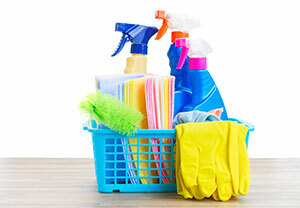 Opening cabinets that cover plumbing in your bathrooms and kitchen can help warm air better reach your exposed pipes. If your pipes are already on their way to freezing, wrapping them in warm towels can help to keep them from freezing more. Covering them with hot soaked towels, or pouring boiling water on the already wrapped pipes should help to loosen the ice inside the pipes and help to get things back to normal. 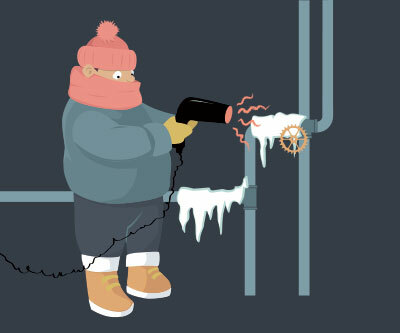 If your pipes have already frozen, you’ll want to thaw them as fast as possible. A hairdryer or heat gun pointed at the pipes can help to unfreeze them. DO NOT use any direct flames, you’re aiming to melt the ice, not the pipes. Shut off your water from the source immediately when you discover your pipes are frozen. This is to prevent additional water from filling the system. This will also help as the ice melts, keeping your pipes from flooding with water and thus your home.